Detached, well-appointed chalet providing comfortable accommodation for four guests. 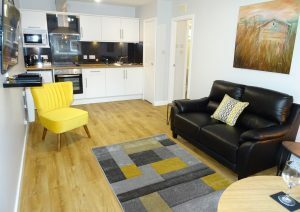 One double bedroom, one twin bedroom, shower room, open-plan lounge-kitchen-dining area, entrance, storage cupboard. Covered veranda with patio furniture, overlooking Craigellachie Nature Reserve. Parking close to chalet. THIS IS A NON SMOKING CHALET and is a Pet FRIENDLY Chalet. Detached, well-appointed chalet providing comfortable accommodation for four guests. One double bedroom (King size bed), one twin bedroom, shower room, open-plan lounge-kitchen-dining area, entrance, storage cupboard. Covered veranda with patio furniture. Parking close to chalet. THIS IS A NON SMOKING CHALET. This is Pet FRIENDLY Chalet. Detached, well-appointed and spacious two-bedroom chalet – sleeps four (one double bedroom and one bedroom with two single beds). Large shower room with a wall-mounted hairdryer. 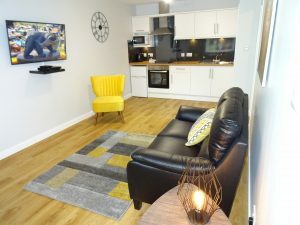 In the kitchen, the washing machine/tumble dryer, dishwasher, ceramic hob cooker, oven/grill and microwave oven; are all fully accessible to a wheelchair-user. The living room includes television and DVD player. The dining area offers a superb view of the mountains. Entrance, storage cupboard, covered veranda. Parking is opposite the chalet, where a ramp leads directly to the door. 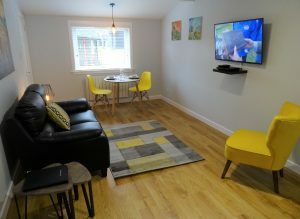 Newly refurbished chalet, cosy and comfortable semi-detached chalet, providing accommodation for one or two guests. 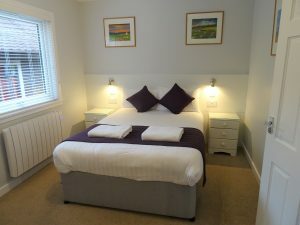 Double bedroom with en-suite shower room, open-plan lounge-kitchenette and dining area, entrance lobby.Parking close to chalet. 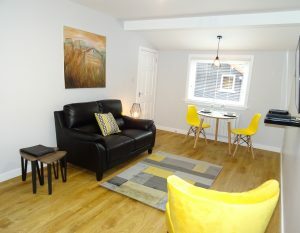 Newly refurbished, cosy and comfortable semi-detached chalet, providing accommodation for one or two guests. 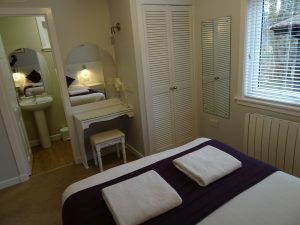 Double bedroom (King size bed) with en-suite shower room, open-plan lounge-kitchenette with dining area and entrance lobby. Parking close to chalet. THIS IS A NON SMOKING CHALET. This is a Pet FRIENDLY Chalet. Semi-detached chalet, providing all that is necessary for your comfort. Including TV, DVD, microwave, hair dryer. 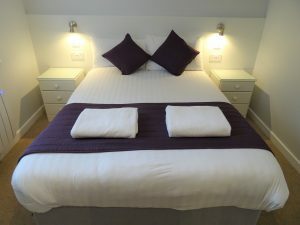 Accommodation for one or two guests in a double bedroom with en suite shower room, open plan lounge, kitchen and dining area. Parking close to chalet. THIS IS A NON SMOKING CHALET AND PETS ARE NOT ALLOWED. Built with true alpine flair and set among the beautiful birch trees and heather-clad grounds of High Range, each chalet is completely self-contained. 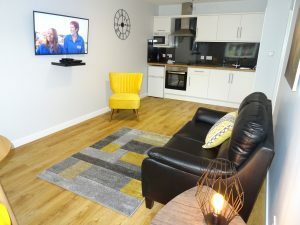 The comfortable and spacious accommodation includes fully functioning kitchens, 43″ TV with over 200 freesat channels, DVD and hairdryer.